What is the real secret of the philosopher’s stone? 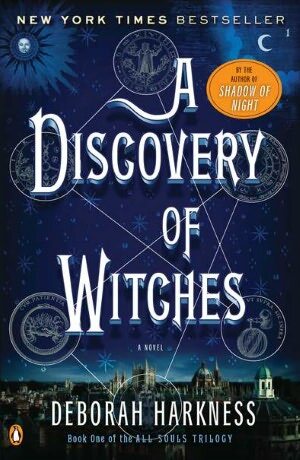 Deborah Harkness in A Discovery of Witches connects its immortality, wealth and knowledge to vampires. Although the story begins slowly with academic references and a strange book recalled from the Oxford library stacks by Dr. Diana Bishop, it’s not long before witches, daemons, and vampires are locked in a battle for the ancient and powerful information the book promises. With a witch pedigree that tracks back to the Salem witch trials, Diana has stubbornly refused to acknowledge or use her magical powers until a handsome irresistible vampire, Dr. Matthew Clairmont becomes her protector and true love. By mixing scientific inquiry, evolution and DNA, with popular interest in vampires and other worldly magical creatures, Harkness creates a compelling combination of mystery thriller, romance, and fantasy – with a sprinkling of scholarly historical fiction. If you look closely, she also added a dash of intolerance for bigotry and racism. As the action escalates, imaginative details on witchcraft and vampire lore, as well as a few well-used myths, supplement the plot line. The antics of Diana’s childhood home reminded me of Jessica Day George’s Tuesdays at the Castle, but The Discovery of Witches is not for children. This is the first of a trilogy, and I missed this book’s debut last year, but thanks to a good friend who reads the Mount Holyoke alumni newsletter, I’m back on track. The second book – Shadow of Night – is already on the New York Times bestseller list, and I won’t have to wait long to find out what happens to the star-crossed lovers as they battle the forces of evil – time traveling back to sixteenth century England. I can’t wait. This entry was posted in American history, authors, book review, books, fantasy, mysteries, reading, romance and tagged A Discovery of Witches, Bodleian Library, Deborah Harkness, Diana, DNA, historical fantasy, magical powers, Oxford, Salem witches, The New York Times Best Seller list, Vampire, witchcraft, witches. Bookmark the permalink.